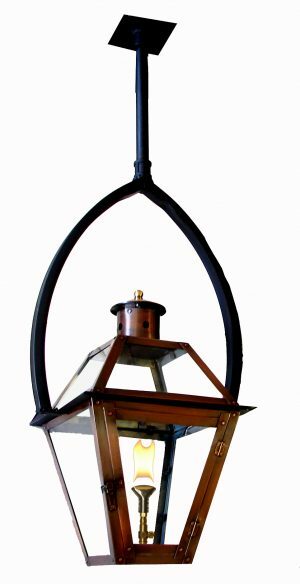 The 12″ lantern is only available in electric – not for use with gas. 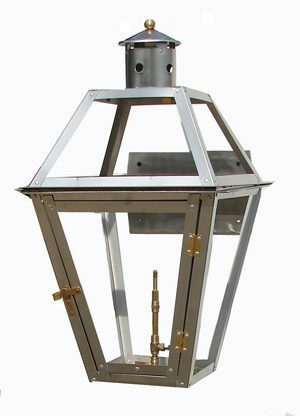 The 15″ lantern cannot have the Flo-Glo Igniter installed. Top glass panes are replaced by copper panels. 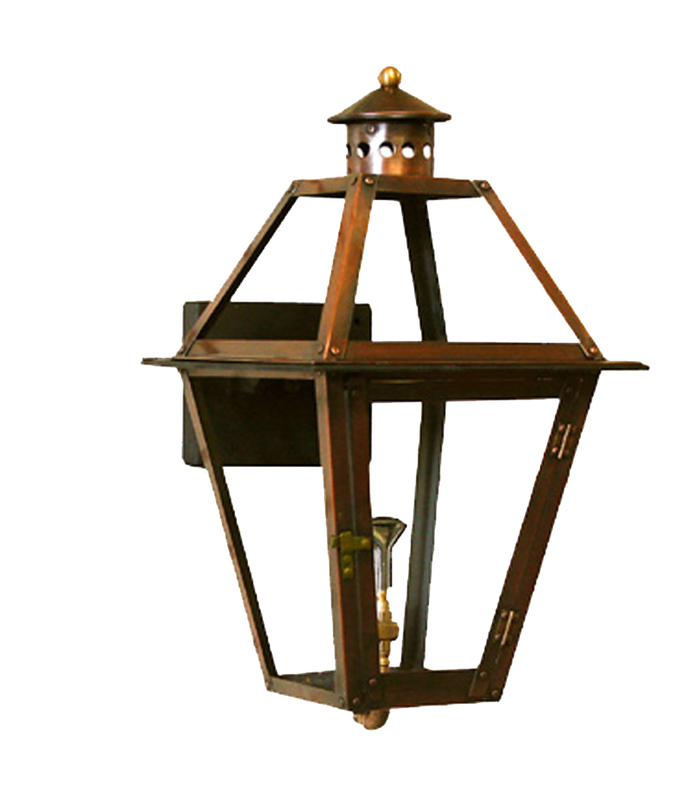 The French Quarter Lantern is an undeniable classic. This style and bracket combination graces the second floor master bedroom of Southern Living’s 2010 Louisiana Idea house and is also featured on The Southern Living Georgia Idea House. 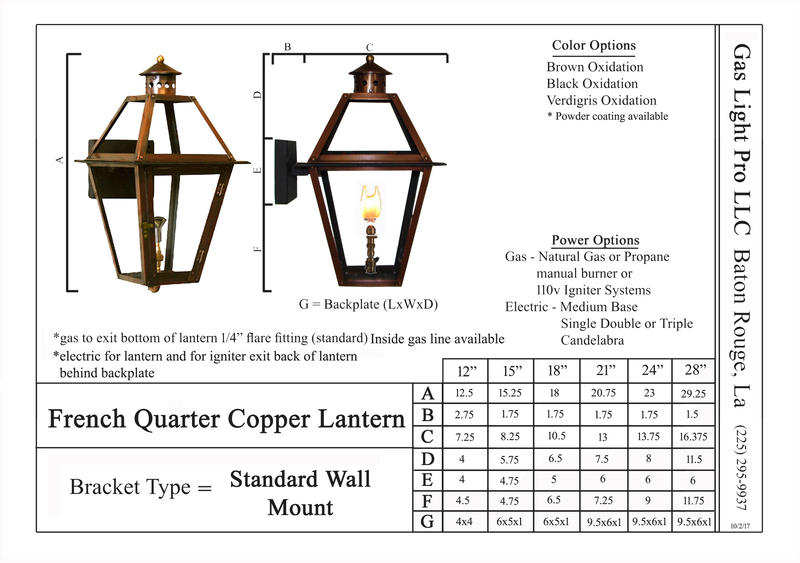 This timeless style is the standard-bearer of copper lighting throughout the US. 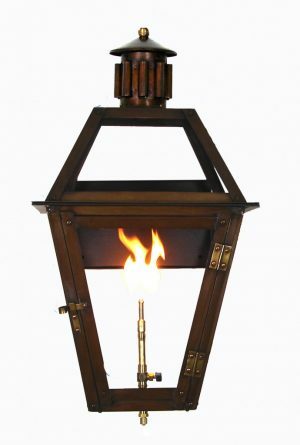 It’s also known as a Charleston lantern in Charleston and a Coach House lantern in San Francisco. This traditional lantern certainly enhances a variety of architectural applications. From Maine to New Orleans and Seattle to South Beach, the clean lines and classic style will compliment the design of any home. 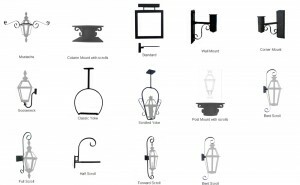 The abundance of accessory and bracket options available with the French Quarter Style Lantern serve to further broaden the range of applications. 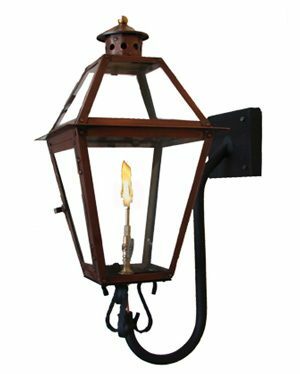 For most of you trying to decide what light may be “right” for you, the search should end here. You can’t go wrong with this style.